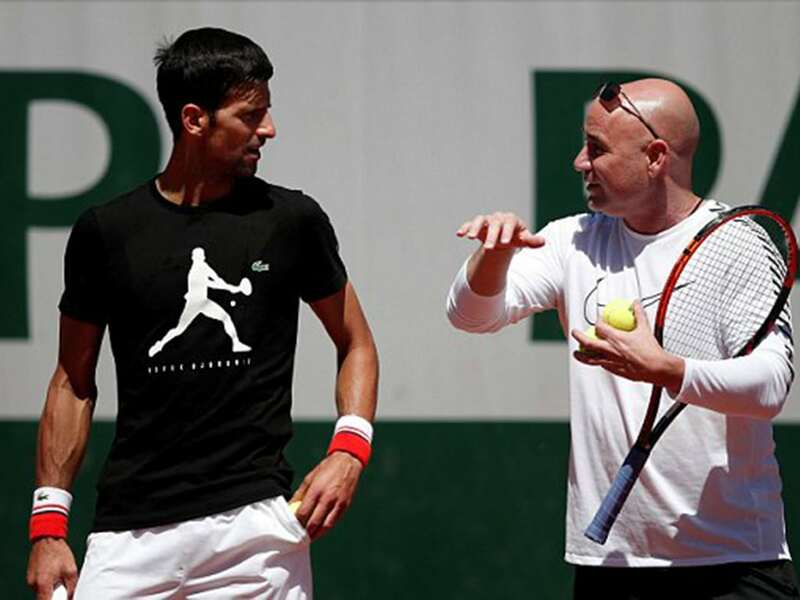 Novak Djokovic has practised on court in Paris with his new coach Andre Agassi for the first time. Djokovic is looking to regain top form after a year of poor results since he won Roland Garros in June last year. Andre Agassi played a very similar style to Djokovic. Agassi liked to stand very close to the baseline and take the ball early, on the rise just as Djokovic likes to do. This takes away time from the opponent and cuts down on the court they have to cover. Andre Agassi had his best run of results late in his career, exactly where Novak is heading right now in his career. Agassi fell to a career low ranking of 141 in 1998 before regaining the number one ranking in 1999 after winning Roland Garros and the US Open and only narrowly losing at Wimbledon to Pete Sampras. Agassi went on to win grand slams into his thirties, something Djokovic will be looking to do also. Andre Agassi was one of Novak Djokovic’s tennis hero’s growing up. This could inspire Djokovic once again and give him a big mental boost, much like what happened when Roger Federer hired his childhood idol Stefan Edberg.